On Tuesday, 11 September, ActioNeters from the Boston, MA area gathered at Cask n’ Flagon Restaurant before transitioning to historic Fenway Park to enjoy a major league baseball game. We feasted on an excellent buffet meal, which included steak tips, bourbon turkey tips, and chicken parmesan along with several additional side dishes. Jackie D., VP for Civilian Programs, flew in from the Washington DC area to meet the Boston ActioNet Team. Following the meal, we moved across the street to our seats behind the 3rd base dugout to watch the Boston Red Sox take on the Toronto Blue Jays. There was a special pre-game 9/11 Tribute that was very touching. After a slow start from both a pitching and batting standpoint, the Red Sox scored four runs in the 7th and three runs in the 8th inning en route to a 7-2 win. This was the MLB leading 99th win for the Red Sox this season. With the win, the Red Sox clinched a playoff spot and they are focused on winning the World Series once again. 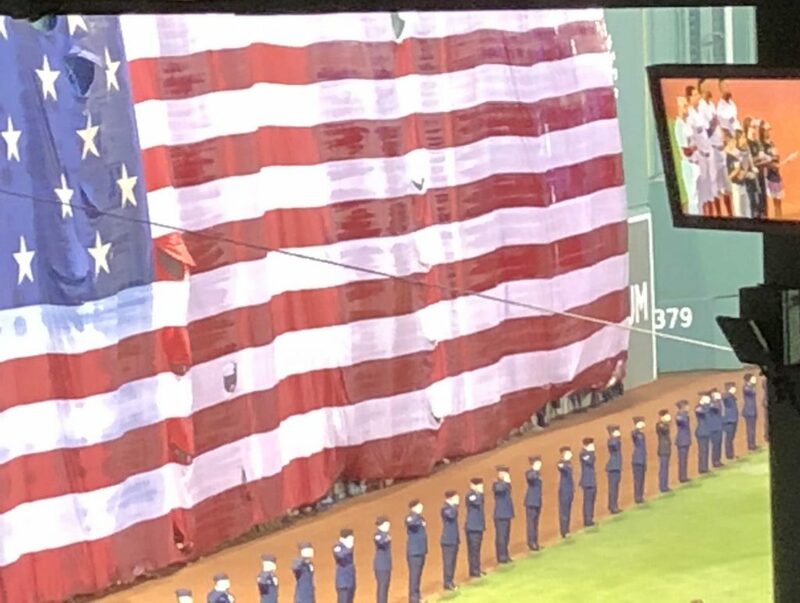 While exiting the park, ActioNeters and their guests enjoyed listening to the Red Sox celebratory postgame anthem “Dirty Water” along with other local favorites “Shipping up to Boston” and “Tessie” as they blared over the sound system at Fenway. “Dirty Water” has been the tune to which the Red Sox have celebrated home victories for over forty years. Check Out Other Photos from the Event!